Not long ago we provided you with our thoughts on the ASUS TUF FX505 – part of a line-up which is a budget substitution for the ROG series. Today we are looking at the bigger brother of this device. It is called the TUF FX705 and is practically the third notebook of the TUF series. You can get it with either the Core i5-8300H or the more powerful core i7-8750H. On the GPU front, you have the whole mid-range spectrum to chose from – GTX 1050, 1050 Ti and 1060. It is interesting to see how a 17-inch all plastic budget-oriented gaming machine will fare against its competition. The main opponent is Dell G3 17 3779. The box contains some manuals, the laptop itself and a DVD. This is a usual finding for a TUF device – DVD with all the drivers and utilities, without any possibility to read it on the notebook. Lastly, we have a pretty beefy 120W charging unit. Probably because of its plastic body or the tiny bezels around the screen, the TUF FX705 is one (if not the) the lightest 17-inch gaming notebooks on the market. It weighs exactly 2.6 kg (5.7 lbs) and has a 26.6 mm profile. One can easily mistake it for the FX505 since it looks absolutely the same… well, until you put them side by side. As we mentioned above, the screen is surrounded by relatively narrow bezels – ASUS is keeping up with the trend very nicely here. Let us remind you that last year they converted their ROG line-up to bezel-less design as well, with the GL504. Looking at the base of the device we see a similar picture. Full-blown keyboard experience with all of the keys on board – thankfully. Although the arrow keys are stuck to the rest of the keyboard, which makes them hard to distinguish when you’re not looking at them. We also feel that the keyboard could have been better. The keys feel a little soft, although they have good travel. Then comes the touchpad which is the same problematic piece of … technology. If you have problems with yours, you can fix it by downloading and installing the BIOS update, followed by the Chipset driver and only then – the touchpad driver. It should work and you should have a good touchpad. On the bottom, you can see some vents which are where the cold air enters the system. Still on the bottom plate, but on the sides of it, are located the 2W speakers, while the hot air exits the laptop from the back of the device. Once again we see a port selection entirely placed on the left side of the FX705. This is very good if you are right-handed. However, if you are from the 5-30% of the people who happen to be left-handed, this is definitely not the laptop for you. Apparently, on the left side of the laptop, you can see a charging plug, an RJ-45 and HDMI connectors, a USB Type-A 2.0 port, followed by two USB Type-A 3.1 (Gen. 1) ports and a combo Audio jack. Similarly to its smaller sibling, TUF FX705 is easy to disassemble. Despite the different length of the screws, it is hardly possible for you to mistake their places. After carefully unprying the bottom panel, we saw something quite weird. Basically, ASUS has put the TUF FX505 in a bigger chassis. There are a total of two heat pipes – one solely used for the GPU and one cooling both of the chips. This may impede the thermal efficiency. On the bright side, this notebook is easily upgradable, having an M.2 slot with NVMe support, one SATA slot, occupied by a FireCuda SSHD, as well as two RAM DIMMs. Thankfully, ASUS has managed make some use of the larger space inside the machine – they’ve put a larger 64Wh battery pack. ASUS TUF FX705 is equipped with a Full HD IPS screen, model number AUO B173HAN04.2. Its diagonal is 17.3″ (43.94 cm), and the resolution – 1920 х 1080. Additionally, the screen ratio is 16:9, the pixel density – 127 ppi, their pitch – 0.1995 x 0.1995 mm. The screen can be considered Retina when viewed from at least 69 cm (from this distance, the average human eye can’t see the individual pixels). The viewing angles are comfortable. We have provided images at 45 degrees to evaluate quality. The maximum measured brightness is relatively high – 341 nits (cd/m2) in the middle of the screen and 327 nits (cd/m2) average across the surface with a maximum deviation of 10%. The Correlated Color Temperature on a white screen and at maximum brightness is 6900K (average) – colder than the 6500K optimum for sRGB. The average color temperature through the grey scale before profiling is 6740K. In the illustration below you can see how the display performs from uniformity perspective. The illustration below shows how matters are for operational brightness levels (approximately 140 nits) – in this particular case at 40% Brightness (White level = 141 cd/m2, Black level = 0.13 cd/m2). Values of dE2000 over 4.0 should not occur, and this parameter is one of the first you should check if you intend to use the laptop for color sensitive work (a maximum tolerance of 2.0 ). The contrast ratio is very good – 1080:1 (1060:1 after profiling). The yellow dotted line shows ASUS TUF FX705’s color gamut coverage. Below you can compare the scores of ASUS TUF FX705 with the default settings (left), and with the “Gaming and Web design” profile (right). We recorded Fall Time + Rise Time = 37 ms – the panel is pretty slow for a gaming device. ASUS has equipped the TUF FX705 with a screen which doesn’t use PWM to adjust its brightness. This ensures that the display is safe for use for long periods of time. Well… at least in this aspect. ASUS TUF FX705 is equipped with an all in all good quality IPS screen. It has comfortable viewing angles, 91% of sRGB coverage, and it doesn’t use PWM for brightness adjustment. In addition to that, it is very color accurate and with the help of our Gaming and Web design profile, the dE value goes under 2.0. This makes it suitable for designers, although, this is a gaming notebook, and the super slow response rate of the panel is not enhancing that feeling. Since our profiles are tailored for each individual display model, this article and its respective profile package are meant for ASUS TUF FX705 configurations with 17.3″ AUO B173HAN04.2 (FHD, 1920 × 1080) IPS. ASUS TUF FX705 has relatively loud speakers. However, there are some deviations throughout the whole frequency range. Keep in mind that there is a specific order when installing the drivers on a brand new Operating System. First comes the BIOS and Firmware, then Chipset, and only then you can successfully install the touchpad drivers. Now, we conduct the battery tests with Windows Better performance setting turned on, screen brightness adjusted to 120 nits and all other programs turned off except for the one we are testing the notebook with. TUF FX705 is coming with a 64Wh battery unit – quite bigger than the 48Wh found in the FX505. However, keep in mind that the 17-inch screen needs more energy to be powered. Despite the large display, we were able to extract 5 hours and 19 minutes of web browsing and around 5 hours of video playback from the battery. If you are crazy enough to play games away from the plug, you have exactly 100 minutes to do the job. Currently, the TUF FX705 is available with a quad-core Intel Core i5-8300H or the more powerful hexa-core Core i7-8750H. On the GPU side, you have a wider choice of products. The laptop can be bought with an NVIDIA GeForce GTX 1050, GTX 1050 Ti or GTX 1060. In addition to that, you have a choice of all memory options. However, the availability of these options is probably going to be region dependent. Here you can see an approximate comparison between the GPUs that can be found in the ASUS TUF Gaming FX705 models on the market. This way you can decide for yourself which ASUS TUF Gaming FX705 model is the best bang for your buck. As you can see from our tables below, the TUF FX705 equipped with GTX 1050 Ti performs regularly on par with the FX505. However, weirdly enough, there are some major differences in favor of the 15-inch notebook. In the temperature test we saw some pretty strong results from the TUF FX705. However, keep in mind that there is a lot of space inside the body of this behemoth. Thus, we expected the Core i7-8750H to feel just right inside the notebook. It started the test with 3.57 GHz at 88°C. Shortly after it dropped down to 2.98 GHz, cutting a degree of its temperature. At the final five minutes of the test, the TUF FX705 was able to provide better cooling for the Core i7-8750H than the Legion Y730. However, we have to note that we were barely able to hear our thoughts as the fans were blowing at maximum speed. All in all, the picture here is not that bad – the palmrest area was relatively cool, as well as the “WASD” keys. However, moving to the center of the keyboard – in the bottom left to the “P” key things go red hot. For real, it feels like a portal to Oblivion is about to open there. In addition to that, the TUF FX705 has a 64Wh battery – not that it’s a big one, especially given the space inside, but it lasts for five hours of web browsing. Keep in mind that it has a huge 17.3-inch screen to power, though. Speaking of the screen, ASUS have made clear that they are not joking around with cheap-a** panels. The AUO B173HAN04.2 inside this machine has good maximum brightness and covers 91% of the colors found on the Web. In addition to that it is pretty color accurate, so web designers, this one would be a good hit. 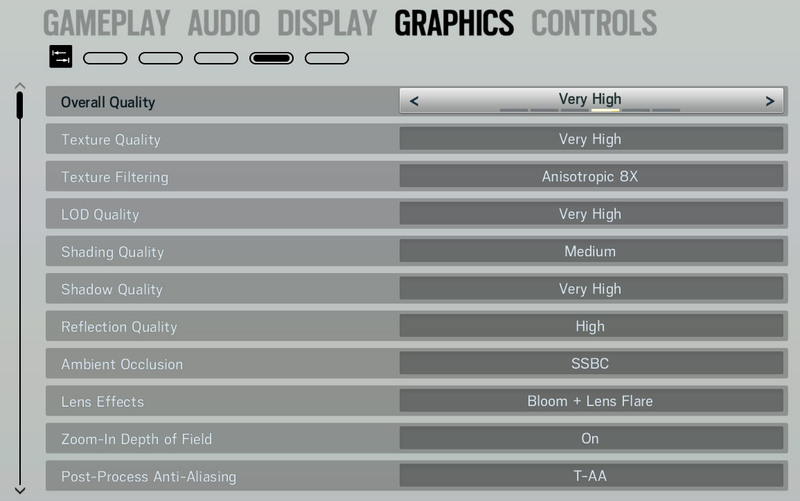 However, bearing in mind that this is mainly a gaming laptop, we have to note that the display works at only 60 Hz. Not only that but with 37 ms response rate it is pretty slow. And then we come to the last issue of this device – its thermals. 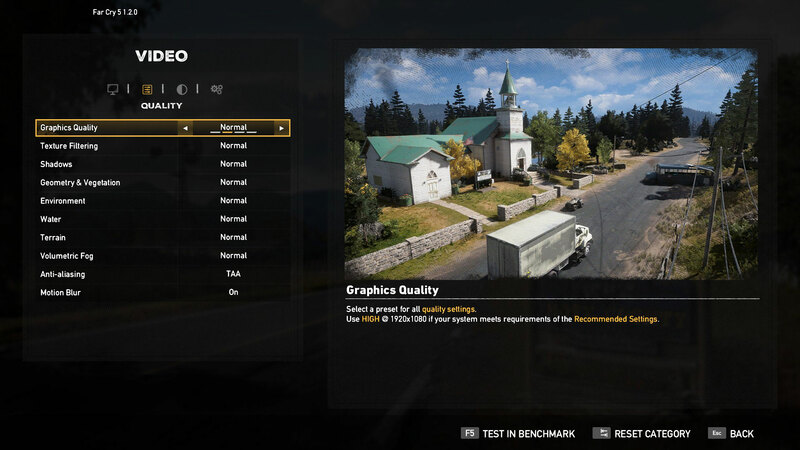 It is often that we see gaming notebooks with a couple of modes – the regular one, and performance mode, which boosts the fan speeds to the maximum speed in order to ensure no framerate loss during extended gaming sessions. Well… you simply don’t need it here, as they automatically reach a temperature which triggers them to work at 100% good 5 minutes into a game. This temperature, more specifically, is the scorching 87°C.